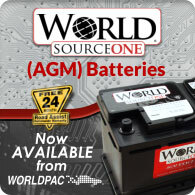 WSO Exact Fit AGM batteries meet strict EN standards of specific power ratings, cover designs, dimensional configurations and critical venting systems for a precision fit in import and domestic applications. 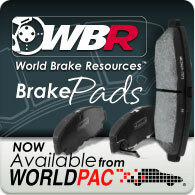 WBR "Dual Technology" brake pads use advanced friction compounds and platform specific shims ensuring safe and reliable braking with ultra-low noise and dust-free operation. METRIX climate control products are manufactured to meet the strict requirements of automakers worldwide for high quality, extended reliability, reduced noise, vibration and harshness. WORLDPAC offers more than 120,000 part numbers at one source for over 40 import and domestic vehicle carlines. Scroll over a country of origin flag to view makes or view a printable pdf. WORLDPAC Professional Tools & Equipment program offers a complete line of professional products for the independent service center. 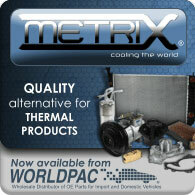 Products are available to registered WORLDPAC customers in the United States. Contact the Sales Department to learn more about available tools and equipment products or request a catalog here.